In addition to driving half of all ecommerce traffic, mobile accounted for 30 percent of all US retail ecommerce sales in a recent three-month period. 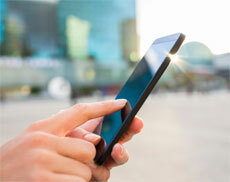 For some retailers, mobile accounted for as much as 40 percent. What’s more, approximately 40 percent of all digital sales were “cross-device” – meaning consumers used more than one device in the purchase journey. In this new post, we’ll crack some common mobile commerce myths, discuss the pros and cons of different mobile site design methodologies, and leave you with some tips for making the most of mobile context. Truth: Shoppers don’t think in terms of channels. They think of “the Web” and use their preferred device of the moment. Mobile is a key player in the customer journey. “Multi-screening,” or using multiple devices to research, evaluate, and complete a purchase is common. Criteo reports 68 percent of shoppers use multiple devices to purchase a product at least half of the times they shop online. Mobile devices also serve as a bridge between digital and physical, connecting consumers to the content, pricing information, and offers that influence their purchase decisions. Marketers that don’t recognize mobile’s role in the overall customer journey – both digital and physical – may erroneously believe mobile is its own channel, and silo people, technology, and budget. Truth: Some see mobile and desktop as a unified digital front, while others consider the mobile experience as just a scaled-down version of the desktop experience. This often leads to mobile sites that are not designed to serve the unique navigational, informational, and functional needs of the mobile context. In such organizations, mobile technology, design, and maintenance may even be outsourced, further siloing mobile and Web teams, and disconnecting the customer experience. For example, changes to the desktop site may not update to mobile in real-time. Truth: Chances are you know (or are) a Millennial that’s glued to his or her smartphone at all times. While Millennials have grown up with technology, they’re not the only mobile users. Boomers and seniors are mobile shoppers, too, with one in four mobile shoppers over the age of 55 (proportional to their share of the US population). The fastest growing cohort of mobile users is age 46-54. Businesses that believe that mobile is only for the Forever 21s, Starbucks, and Apples of the world, but not for their target age demographic, are misinformed. Truth: Tablets are the in-between device – the mobile-ness and touch screen-convenience of a smartphone without the constraints of the tiny screen size. They render desktop versions of a regular site fairly well, so it’s tempting to make tablet design and optimization a low priority – or no priority at all. Failure to appreciate that tablets are valuable and deliver their own experience (both in form factor and user context) leads to a lazy design strategy. Truth: The fact that the majority of transactions still occur on desktop is not justification to delay investment in mobile development and optimization, and doesn’t mean the customer is satisfied with the status quo. And it’s somewhat alarming that, given the importance of mobile, 49 percent of businesses report they don’t understand how mobile fits into the customer journey (Econsultancy). Mobile has arrived, and it’s only increasing in importance to the customer. Mobile strategy should be highly important to your online business, and appreciated as an integral part of both the digital and physical experience, while requiring its own consideration of mobile’s contextual role in the customer journey. Mobile customer service is too important to overlook considering 63% of US adults use mobile to access customer support several times each month, and 90% have had poor experiences.